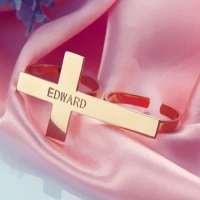 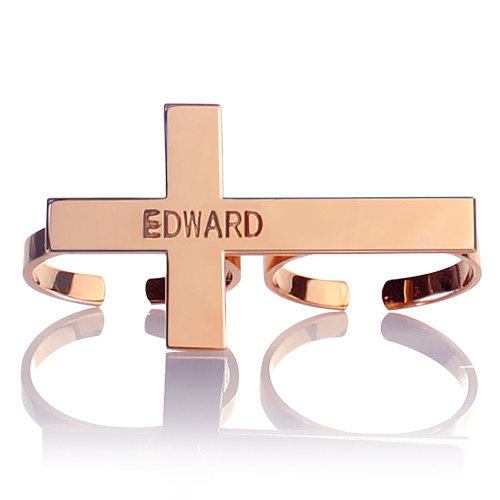 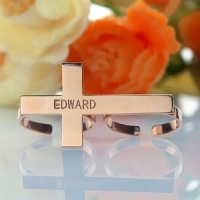 Personalized Two finger Cross Ring with Name Rose Gold - Choose this style in 18k Rose Gold Plated to match any outfit. 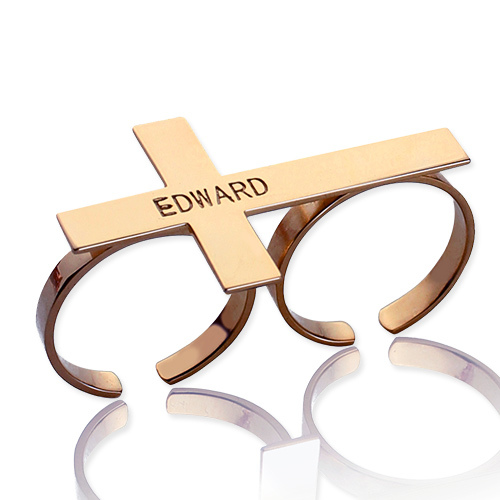 Its unconnected loop design creates an alluring affect on any finger. Its unique design is sure to match its unique wearer. Make it even more special by engraving your name or a special word onto the ring.